This interactive presentation contains the latest oil & gas production data from 18858 horizontal wells in the Eagle Ford region (TRRC districts 1-5), through December 2016. Oil production in this region kept falling in December, and came in just below 1050 kbo/d. As you can see from the light blue area, production from all wells that started before 2016 declined during 2016 from 1440 kbo/d to 675 kbo/d. This means that the overall annual decline rate was just above 50%. For gas this metric was a little less steep (just above 40%). Future revisions will increase the displayed production numbers for the last few months a bit. The production profiles for all these wells are shown in the “Well quality” overview. The rather straight shape of these curves, on a semi-log plot, indicate a close to exponential decline rate. The top graph in the “Well status” overview shows the number of new horizontal wells put on production each month in this region. The major pullback since late 2014 is visible, as the monthly new well additions dropped to a level of about 100 wells a month, which was last seen in 2010 when the Eagle Ford just started to boom. The performance of the largest operators is visualized in the last tab (“Top operators”). Here you’ll notice that Devon Energy increased production significantly in the final month of 2016, but still ended the year about 1/3rd lower. As you can see the main change over these years has been the increase in early production. Probably the higher proppant volumes are an important factor behind this. The orange curve, which plots the performance of the 2014 wells, shows a top of just over 400 bo/d in the first full calendar month on production, while the end of the curve marks an average production rate of just below 60 bo/d after 2 years. Switch to “Quarter / month of first flow” in the “Show wells by” selection to see more granular, and recent data, but the general shape of these curves will be similar. In the “Well status map” tab you can see the location of all these wells, and find out where new wells have been brought online recently. Though it is more work to pull the data from these 22 fields rather than to just pull the district data. So it seems you are including about 7000 wells in other formations. When I sum all the data from districts 1 to 5 I get a different result than you for total C+C output. Are you leaving out vertical wells? Let me answer your questions all in this comment. > Are you leaving out vertical wells? Yes, in all my posts, on all basins, I leave out vertical wells (unless I specifically state that I do not). For Texas, I still estimate their production (which is necessary in order to estimate the production for horizontal wells reliably), but I do not present their data. There are indeed also vertical shale wells, and for example in the Permian there are quite many of them. But for now I’ve made the choice to focus on the biggest source of LTO (and gas) production, horizontal wells, which allows an easier presentation & interpretation of the data. > Do use the field data to find “Eagle Ford” wells or did you just use the district 1 through 5 data? In these “Eagle Ford” posts, I present all horizontal wells in the Eagle Ford region, districts 1 to 5. This indeed includes more wells than only the Eagle Ford formation. Using the “formation” selection, you can narrow down your selection to Eagle Ford formation wells only. I retrieve this formation data indeed from the “field” data, which you reference to. > So it seems you are including about 7000 wells in other formations. If you go to the “Total production” overview, and group production by “All”, and use the formation filter to only show “Eagle ford” wells, you’ll see that in December my data contains 16583 wells. These are not only oil wells, but also gas wells (on gas leases). So only 2000 or so are in other formations, based on the “Field” description of the TRRC. For “oil” in your well profiles is this “crude” or “crude plus condensate”? I had thought when I clicked on “oil” I was only getting the oil well count rather than oil and gas wells. > For “oil” in your well profiles is this “crude” or “crude plus condensate”? Oil is “crude plus condensate”. > I had thought when I clicked on “oil” I was only getting the oil well count rather than oil and gas wells. No, I don’t distinguish between oil or gas wells. All wells from the selection are shown, and the “product” doesn’t influence this selection. 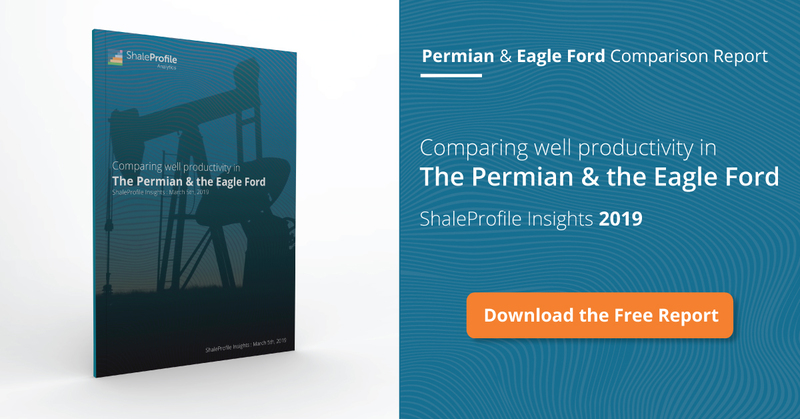 Enno, it looks like EOG is increasing its “market share” in Eagle Ford as it maintains production more or less flat while the overall basin is in decline. Thanks, really enjoy the presentation of this data. Indeed EOG increased its share of oil production in this region from about 15% early 2015, to over 20% by late 2016, by slowing down slower than the rest. As to why they’re doing so, I have no particular insights. Maybe someone else here who knows their operations well may wish to chime in?